What is meant by Trademark examination in India? Once the application for trademark registration is filed and where all formalities are in order, the application will be examined. A trademark examination report is issued to the applicant by the trademark office citing similar or conflicting marks and grounds for refusal. The applicant has to respond to the examination report within the stipulated time, substantiating the reasons as to how the proposed mark is unique and is not confusingly similar to the cited marks. The examiner may either accept the response or schedule a hearing. On what grounds can my application for trademark registration be refused in India? similar or identical to an earlier trademark for the same or similar goods or services. similar or identical to an earlier trademark in respect of different goods or services. ii)consists exclusively of the marks or indications which may serve trade to designate the kind, quality, quality, values, intended purpose, geographical origin or time of production of the foods or rendering of the services or other characteristics of the goods and services. The status of my trademark application is “Objected”. What does it mean? The status of my trademark application is shown as Objected would mean that the examiner or the Registrar has raised one or more objections in the examination report. What is trademark application in India? 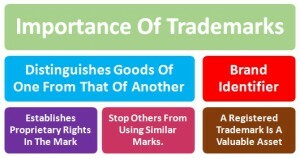 Section 18 of the Trademarks Act,1999 provides for the application for the registration of Trademarks in India and for the registration of the trademark application needs to be made to the Registrar and a single application can be made for registration of the trademark for different classes of goods and services by paying requisite fees for each such classes of goods and services. What are types of Trademark application in India? What is trademark Classification in India? There are different classes for products and services. There are only 34 classes for products out of 45 classes and 11 for services. Trademark Registration in India can be applied by whom? The application for the registration of the trademark may be made by any person claiming to be a proprietor/owner of the mark for those goods and services for which he is using or intend to use the mark. At the time of filing of the application, the proprietor must have the intention to use the mark. What is meant by E-filing of Trademark application in India? It means that the application for the registration of the Trademark is done through online process and facilitates the entry of aforesaid particulars along with the uploading the requisite documents online. What is Trademark Registration duration in India? Years and renewable every 10 years. How can a trademark be opposed in India? The notice of opposition should be filed at the trademark registry where the application for the conflicting mark has been filed. A trademark can be renewed in India from time to time for an unlimited period on payment of the renewal fees, failing which the mark becomes liable to be removed from the Register of trademarks. Each renewal term is for a period of 10 years. How to Restore a Trademark in India? 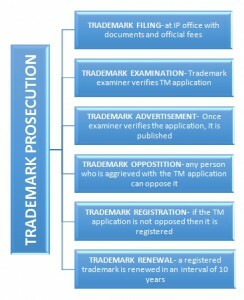 If the Trademark has been removed from the Register of trademarks on the ground of non-renewal then the same can be restored by filing an application in the prescribed form for restoration of the mark after six months and within one year from date of expiration of the last registration of the mark. What are the Grounds for Removal Registered Trade Mark in India? Yes, if it is not used for a continuous period of five years and three months, it can be removed on an application made in a prescribed manner by filing request before Trademark Office. What is trademark status in India? It means whether an application filed for the Trademark application has attained finality and the same could be found out from the Indian IP Office website. The status of the application can be reviewed/ tracked from the website. What is trademark rectification in India? If any person is aggrieved by an entry wrongly made or wrongly remaining on the register of trademark, he is entitled to file a petition for cancellation of registration or rectification of the register for removal of the registered mark. Rectification of the register is a proceeding in which a party seeks to remove a registered trademark from the register. What is Indian Trademarks Act, 1999? The Trademark Act was enacted to comply with the provisions of TRIPS(Trade related aspects of Intellectual Property Rights) Agreement,1995. However, some provisions regarding unregistered trademark have been enacted into the 1999 Act, they are primarily governed by common laws based on settled propositions of law. What is well known trademark? Section 2(1) (zg) of the Trademarks Act,1999 states that well- known trademark is mark which has become well known to the section of the public which uses such goods and services and use of that mark in relation to goods and services of other business would be considered as infringement as customers using the product would think that the goods and services given are in relation to the well- known brand. 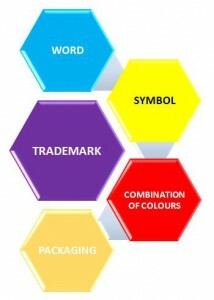 Trademark refers to a word, mark or symbol which represents a company or a product. 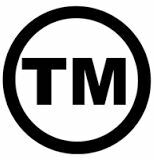 Trademarks can either be legally registered or established by use in commerce. 2. What do trademarks signify? Trademark for words– generally referred to as Wordmarks are simple names which denote a product or service like Apple, Vaseline, Airtel etc. 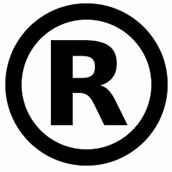 Trademark for words and symbols– generally referred to as logo or device marks are logos or images which denote a product or service like. 3. Why is it important to file a trademark? 4. What are the steps in trademark prosecution? The motion of “Lamborghini car door” has been given protection as a motion trademark in some jurisdictions.